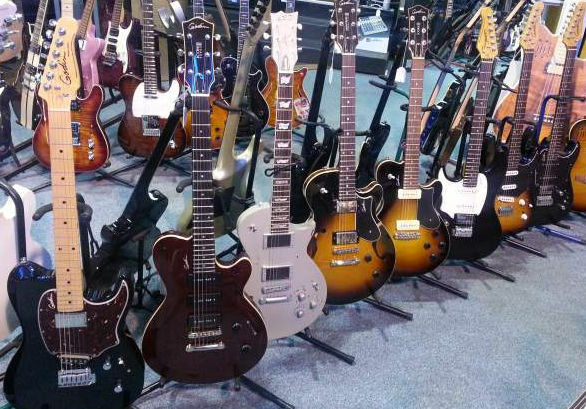 There are various types of guitars but in general we can distinguish between two types: acoustic and electric guitars. 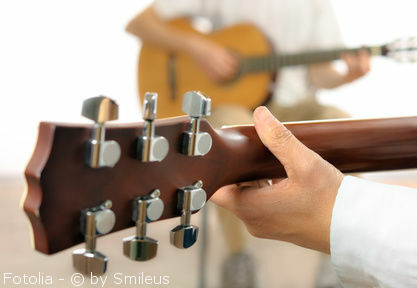 Furthermore, acoustic guitars are available in two kinds: steel-string and classical. In these three models I would like to present you also another instrument which is not really a guitar but great alternative for kids: the ukulele. 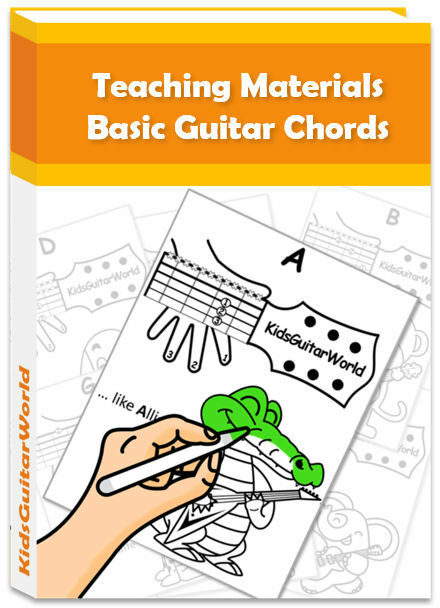 First of all, we start with the most popular type of guitar for kids – the classical version. Its name does not mean that this guitar can be only used to play classical songs. Quite in contrary, your child would be able to play every kind of music style with that instrument. The difference to the other models lies in the construction. The classical version has got a larger and a flatter neck. The strings on that guitar are nylon strings which is one of the most important facts when it comes to kid’s guitars. Nylon strings are for children’s fingers much more comfortable and do not hurt as much as steel string in the beginning. For sure, if you fingers get used to the strings, they will not hurt anymore but until that it is a fact to consider as many beginners tend to give up when the strings hurt too much. This is why, beginners and consequently younger kids should start playing on classical guitars. If you are not a guitarist it might quite difficult to say whether it is a classical or steel-string guitar. At the first glance, they are quite similar but a closer look reveals that there are many little differences. 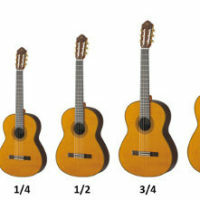 The biggest difference you can already find by comparing the heads of those two guitars (see image below). A classical guitar has got an open head, whereas the steel-string version has got a closed head. Keep that in mind because it is the best and easiest way to distinguish those two models. Another difference is the width of the neck. 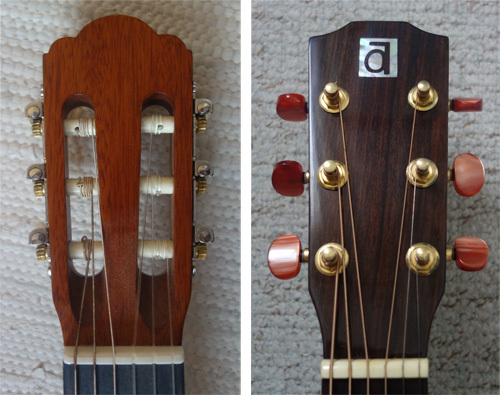 The neck of a steel-string guitar is slimmer than the classical version. Thus, you have to place your chords much more precisely as the distance between the strings is quite narrow. Beside the differences in the construction, there is also a significant in the sound. As the name already says, acoustic steel-string guitars use steel strings that produce a metallic, loud sound. They have a bright, crisp tone as compared to classical guitars with nylon strings. Steel string guitars are primarily used for rock, country and pop music. It is often the case that guitar beginners start on a nylon string guitar as their strings are much softer and more comfortable to play. As soon as most of guitar players have reached an advanced level, the majority of them change to an acoustic guitar. There are also electro-acoustic guitars that are fitted with an electronic device (called pickup) to capture the vibration of the strings allowing the guitar’s sound to be amplified. If your child wishes to perform his music in public, an electro-acoustic would be a good choice. Electric guitars differ from other guitars generally in two main ways. First of all, they are solid body guitars. 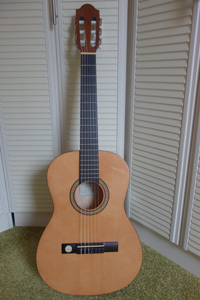 The guitar’s body is made from solid wood. Especially for young kids it is an important fact to consider since electric guitars are much heavier. Second of all, they must be amplified electronically to hear their sound. This is done by using an amplifier normally connected to the guitar with a wire, a so called guitar lead. Although, kids often tend to feel like starting on an electric guitar, parents should know that a classical guitar is mostly the best choice for beginners. The sound and the volume of electric guitars are adjustable with the amplifier. If your child is too young, it might be too complicated to handle all the buttons on the guitar and the amplifier. In addition to that, it requires also a certain responsibility to respect household volume levels. When amplified it produces a metallic sound with a long decay. They use steel strings but their strings are quite thinner compared to acoustic guitars. 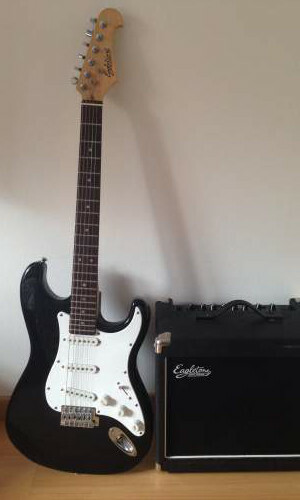 This type of guitar is primarily used to play rock, blues, jazz or pop music. A ukulele seems to be very similar to a normal guitar … just much smaller and lighter. But the biggest difference lies actually in the number of strings. It has got only 4 strings instead of 6 strings. The chords on the ukulele are much easier to learn than on the guitar; some of them require just using one finger. So, a ukulele is an instrument where you progress quite quickly in the beginning and that is especially for children a good point. 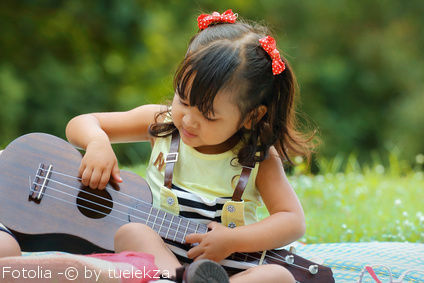 Children will progress much quicker on a ukulele than on a normal guitar. 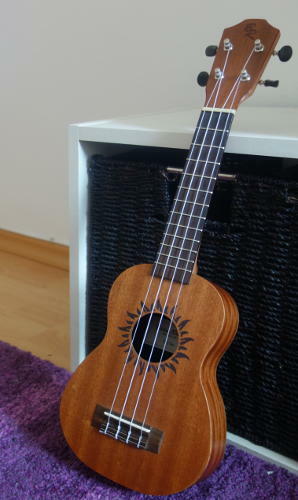 Moreover, a good ukulele is much cheaper than a guitar. There are also many parents out there who buy their kids ukulele as a toy in a supermarket. You can do that as well but you should that you do not get a real musical instrument. For further information about this little great instrument, visit our kid’s ukulele section. Well, a toy is not a musical instrument but to be quite honest a guitar toy can be a great introduction for toddlers and even babies to the world of guitars. You shouldn’t make the mistake to get your son or daughter too early an actual guitar. 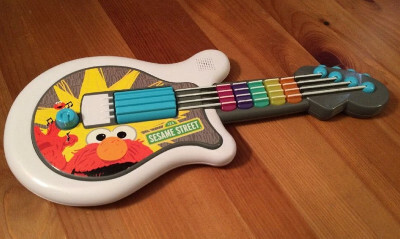 If you are not sure that your child is mature enough and therefore not ready for a guitar then go rather for a toy. There are great ones out there that offer a variety of functions. 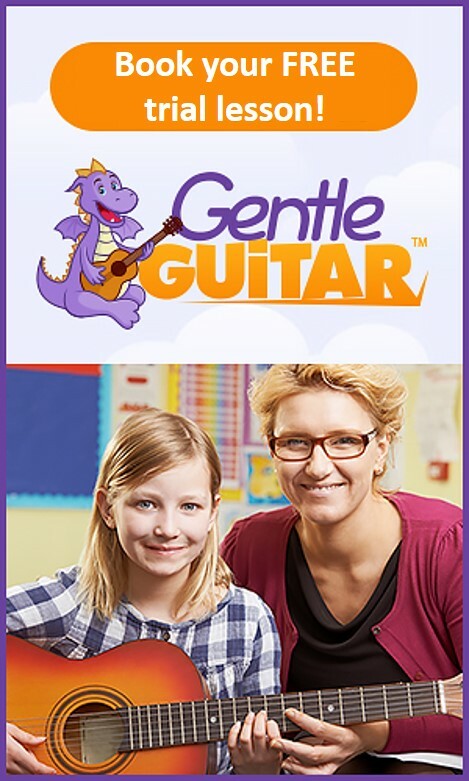 Find the best guitar for kids in our overview article.